"The world's most popular spreadsheet application." Microsoft Excel is the world's most popular spreadsheet, charts and tables application. It has been for a long time now with only one real competitor in Apple's iWork Numbers application until Google released its own Sheets application. Some editions have been better than others, but Microsoft Excel 2010 brings back what we have love about Microsoft Office. The menus are simple and tools are easy to find. This makes the application substantially better than the previous edition. Microsoft shot itself in the foot when it released Microsoft Office 2007. This included Microsoft Excel 2007 which was a big, big mess. Microsoft attempted to introduce a new unified tool that would be the hub of access to every feature in the application. This was a bad idea. For one, the icon was in a weird place. It was in the top left corner where one would usually find the "File" menu. The file menu was now hidden, out of sight, but in everyone's mind. Luckily there was a way to bring back the classic tool bar, but that, in itself, was a pain. Office 2007 was so bad, in fact, that more people preferred to continue using Microsoft Office 2003 instead. Microsoft went back to the drawing board and brought us an application that made sense when they designed Microsoft Office 2010. They got rid of that annoying ribbon and put back our toolbar with some much needed additions. 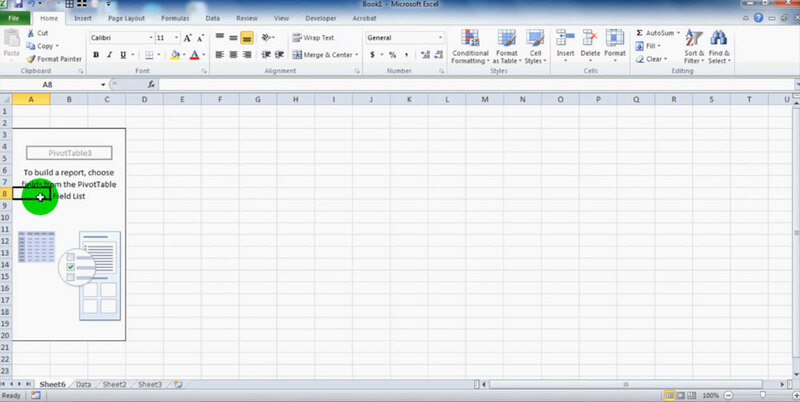 Microsoft Excel 2010 comes with a very clean and classic look that allows us to focus more on the numbers, than a glowing yellow button in the top left corner. It brought back a look that is very similar to Microsoft Office 2003. Change isn't always the best action.